Wow! I am on a roll here. 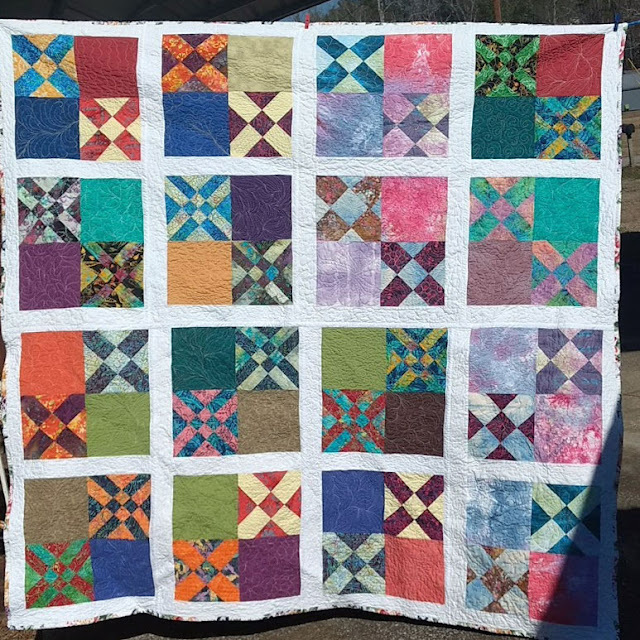 Last night, just before bedtime, I finished my quilt made with Anita's Arrowhead and Old Italian Blocks. These blocks are from the book "Rotary Cutting Revolution" by Anita Grossman Solomon. I also used some "plain" blocks of hand dyed fabrics and solids to calm it down just a bit. This quilt has been in progress since April of 2015. So I am very happy to have it finished. 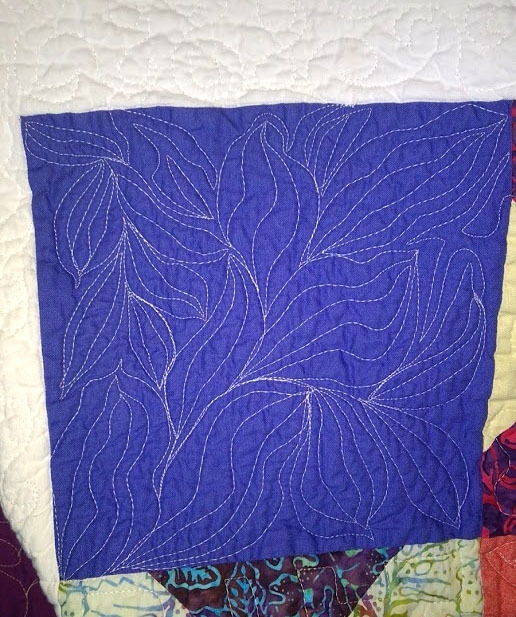 My method for this one was quilt-as-you-go. 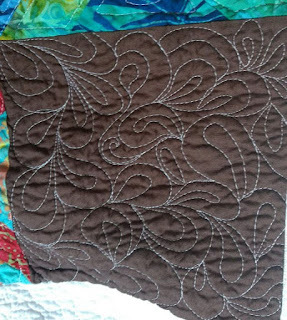 I did eight sections that I quilted and then joined together to make one bit quilt. 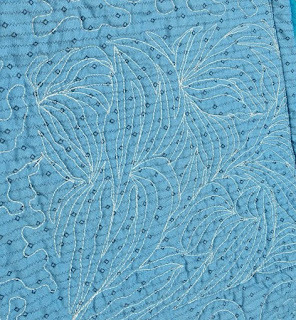 A close look shows that some days my free motion quilting mojo was amazing. Here are a few close-ups of sections that make me happy. Same as above from the front of the quilt. 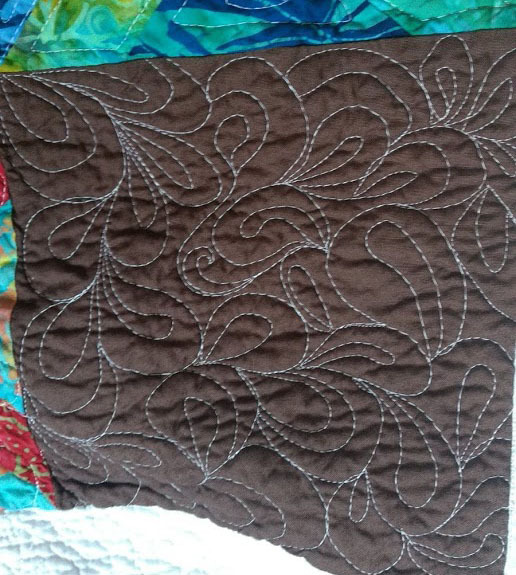 Some simple paisley shapes with an occasional curl. 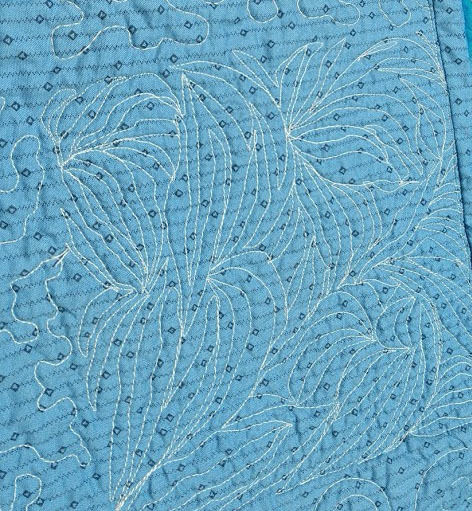 And the back shows the sections as each section has a different fabric for the backing. Those two blues on the bottom kind of blend in the photo - but in actuality there is a nice contrast. I am loving my new quilt. So nice, I showed it twice! 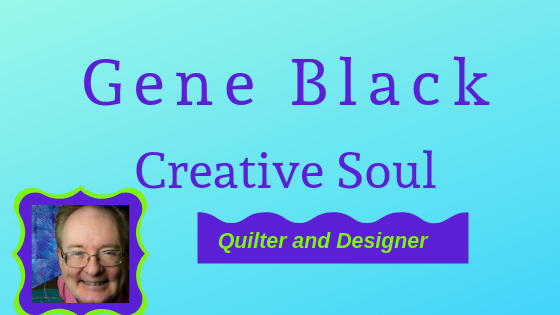 If you like these blocks, you can take the Craftsy Class "Traditional Blocks Made Simple"
Both of these are affiliate links so if you click on one of these links, I get paid, but you still get the same great price. So we both win. 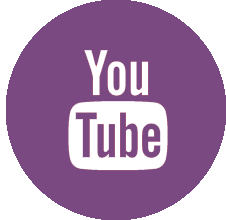 If you would like to be an affiliate, you can sign up here. Craftsy Affiliate Sign Up. 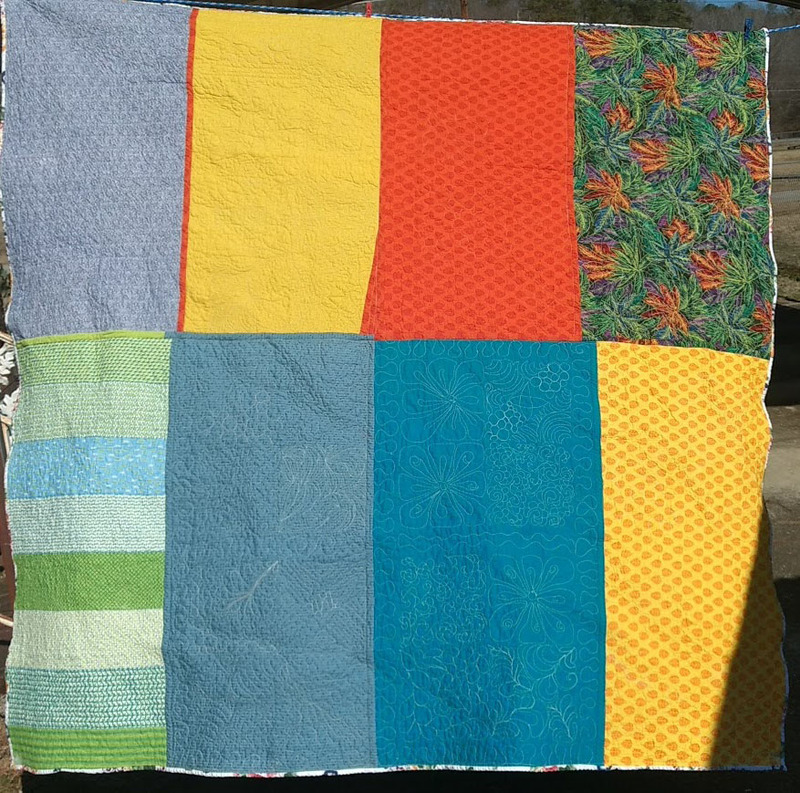 I have not tried that one method of quilt as you go, too scared to. 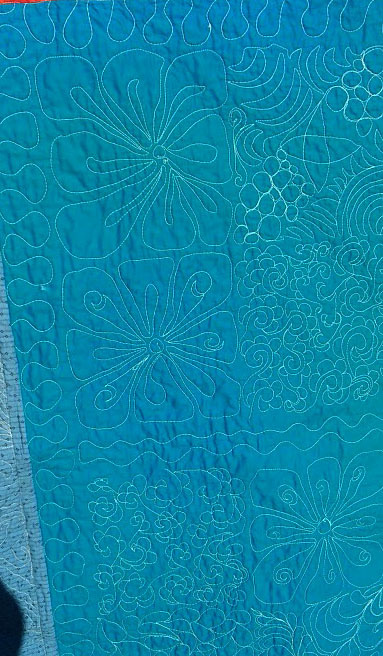 I love your quilting...just wonderful. TWO finishes already? Now you are just showing off :) This is a beauty and I like the quilting a lot. Aren't Anita's blocks so neat to make? I love your quilt with both the arrowhead and the Italian. Similar, but distinctly different. The solid "resting place" blocks work really well here. Congrats on such a nice finish!